Mel Levine is a partner in the Century City office of Gibson, Dunn & Crutcher. He served as a member of the United States Congress from 1983 until 1993 and as a member of the California Assembly from 1977 to 1982. He is a member of the California bar and the District of Columbia bar. 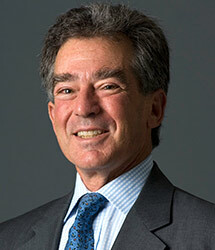 Mr. Levine was named one of the “100 Most Influential” lawyers in California. He is a member of the Advisory Board of the Goldman School of Public Policy at the University of California (Berkeley) and a Director of the Pacific Council on International Policy. He has served as U.S. Chair of the U.S.-Israel-Palestinian “Anti-Incitement” committee established by the Wye Plantation peace agreement, as a Presidential appointee to the United States Holocaust Memorial Council, as a U.S. government appointee to the U.S.-Israel Science and Technology Advisory Commission as President of the American Friends of the (Yitzhak) Rabin Center in Israel, and as Board Chair of the Los Angeles Police Foundation.